1 – First paying customer gets it. Pay in person or by phone. 2 – No holds – we just can’t…sorry. 3 – No returns. none. it’s yours. 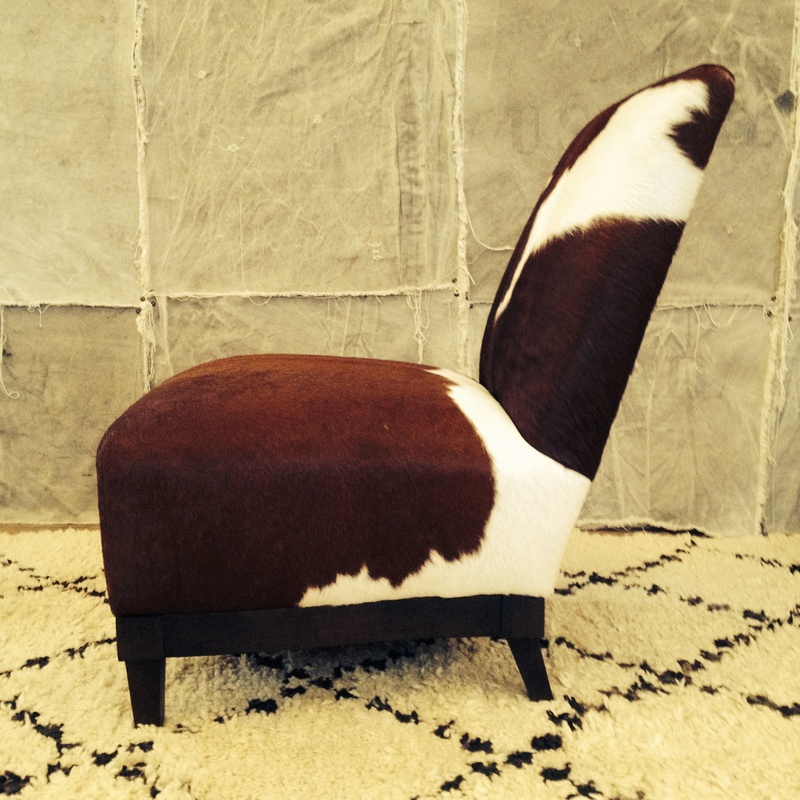 Beautiful brown and white hair-on-hide slipper chair. I know, hair-on-hide is not a pretty name. Lets just call it cow hide. It sits on a dark neutral wood base. 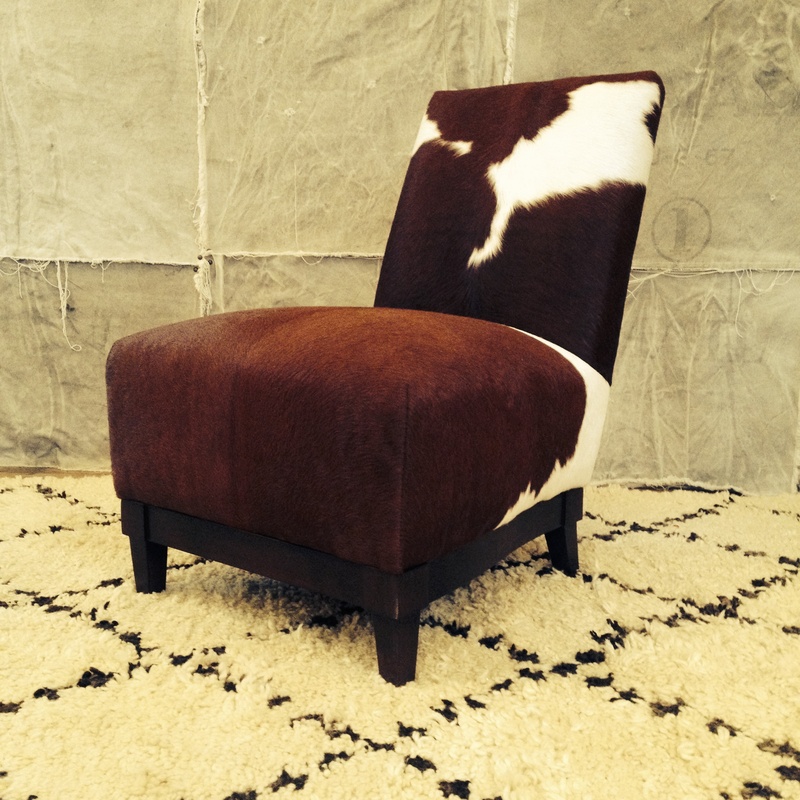 A great side chair – it would sit happily in a living room, game room, bedroom… and cow hide is so durable it could be great for a kid’s room. 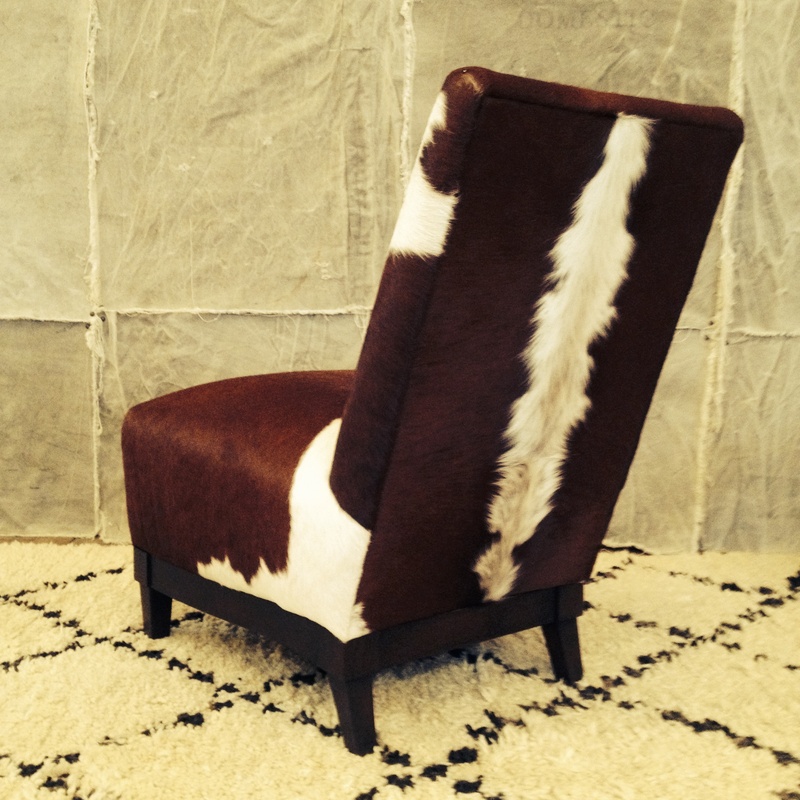 It has been placed in several vignettes in our showroom – it looks great with everything – not unlike a pair of blue jeans. Size, you ask? 23″ wide, 31″deep, 34″high (back), seat is 18″ high. Sale price – 250………….yes, 250.
is that basically 89% off???? It is. wow. OMG!!!!!!! I didnt get to my email until just now!!!! Dang it!! I so would have bought that chair! Love it! and what a deal!!! I will know in future to be quicker when you do those things. So sorry – we will do it again next week. generally on Thursday or Friday. I post it around 10:00 when we open. I just now saw this, would have loved to buy, when will you have more deals? We post deals on Thursday or Friday – generally at 10:00 as soon as the store opens.